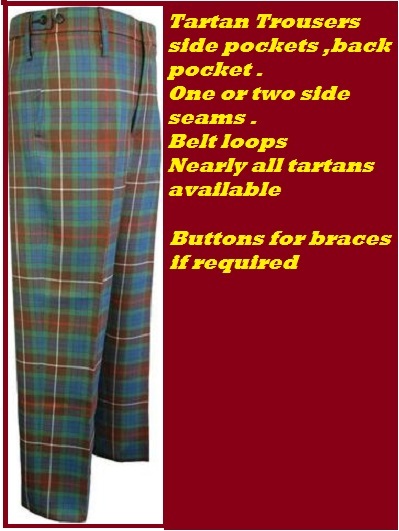 Tartan Trousers and Trews in all tartans available The Trews have a fishtail back .They are made with one side seam (inside leg ) two seams if you wish. 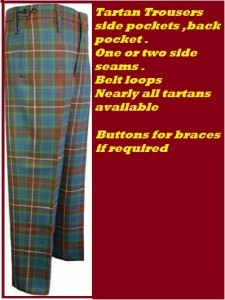 Pockets:tartan Trousers two side and one back . Trews: either two side pockets or two waistband pockets not seen from the outside. 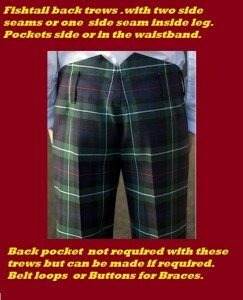 Both have belt loops .